As the new millennium’s second decade has progressed, one thing has become increasingly clear: the monoculture has collapsed. What made the pop culture of the ’90s so magical was the occurrence of phenomenons — for better or worse, you simply couldn’t ignore what was in the zeitgeist at any given moment. Back then, the number of ways information and entertainment was transmitted was formally structured and, more importantly, limited in nature. In 2015, things couldn’t be more different: the media is so fragmented now that people are hardly paying attention to the same things at the same time, and if they are, the collective focus never lasts long enough for the event to actually lift off the runway and become a true phenomenon. Eventually, I suppose, everything goes niche, especially since every last drop of profit gets squeezed out of entertainment properties these days. For example, Survivor was a huge phenomenon in the summer of 2000, drawing an audience — during TV’s offseason when everyone is on vacation and not watching TV — of 52 million for the finale of its first season. Still on the air some 30 seasons later (they do two a year), that audience has been whittled down to about 10 million who keep tuning in every week. With movies, obviously, it’s a little different, since the commercial life span is inherently limited to begin with. What’s interesting, though, is that for a solid ten years Titanic‘s $600 million domestic box office mark was thought to be absolutely untouchable. I can remember thinking, “I don’t care what happens with inflation years down the line, nobody is catching that.” I honestly thought the practice of seeing movies in theaters would go out of fashion before a movie came along that surpassed Titanic‘s box office records. (Seriously.) That movie was a phenomenon of the highest order, and given how cynical society had moved during the ’00s, I didn’t think audiences would ever be willing to embrace a movie as innocently as they used to. 9/11 ended the carefree nature of life before then (the Bush administration’s incompetence didn’t help matters either), and Titanic was also released before everyone had access to the Internet, the rise of which has chipped away at the monoculture over time. Perhaps it’s fitting, then, that the film that made us realize Titanic‘s lofty mark was actually mortal was The Dark Knight, which couldn’t be more unlike the blockbusters of the “movie magic” era of the ’80s and ’90s. Arriving with the noise of a nearby thunderclap, The Dark Knight was simply enormous. Little did we know it at the time, but The Dark Knight hit theaters just before the world economy collapsed in September 2008. In a way, July 2008 was still within a time of innocence too, just like the pre-9/11 period that allowed Titanic to be so successful. The housing bubble had finally burst — technically, the US recession began in December 2007 with the collapse of the housing market earlier that year, but the global stock markets didn’t plunge into oblivion until the following September — though my twenty-year-old self was nearly blissfully unaware anything was the matter. (I say “nearly” because I was aware that sales in the retail store I was working in that summer were significantly down from the previous year due to elevated gas prices.) It was the end of an era: once The Dark Knight climbed close to 90% of the way up Titanic‘s box office mountain in the Himalayas, we knew it wouldn’t be long before another movie came along that actually did reach the summit. As it turns out, none other than Titanic director James Cameron’s Avatar, his 2009 return to the ring after a twelve-year filmmaking hiatus, established a new seemingly unbreakable box office benchmark. Within just a couple of years, my local Blockbuster was out of business, and a movie rapidly started to be considered content instead of a product. Before there was a difference between a movie in the theaters and a video on YouTube; there was a line between “legitimate” entertainment and stuff on YouTube that was looked down upon as a waste of everyone’s time. There is a lot of apathy now toward movies in theaters — people resent that they cost so much money and are generally derivative spectacles. I have pretty much stopped going to see movies in theaters unless it’s something I’m dying to see, mostly because I don’t I feel like spending $15 to see a movie that is usually disposable entertainment I can easily replicate for free using Netflix. When The Dark Knight was released in the summer of 2008, this certainly was not the climate of moviegoing. Everyone was talking about this movie as soon as Heath Ledger died six months before release, and everyone was still talking about it all the way through Oscar season (when we were ultimately disappointed). This movie was in the public consciousness for a solid year — it was an actual phenomenon — which is easy to forget now. About the only thing that wasn’t disappointing about Oscar night in early 2009 was that we all got to see Heath Ledger’s family accept the Best Supporting Actor award posthumously on his behalf, which was a nice moment. 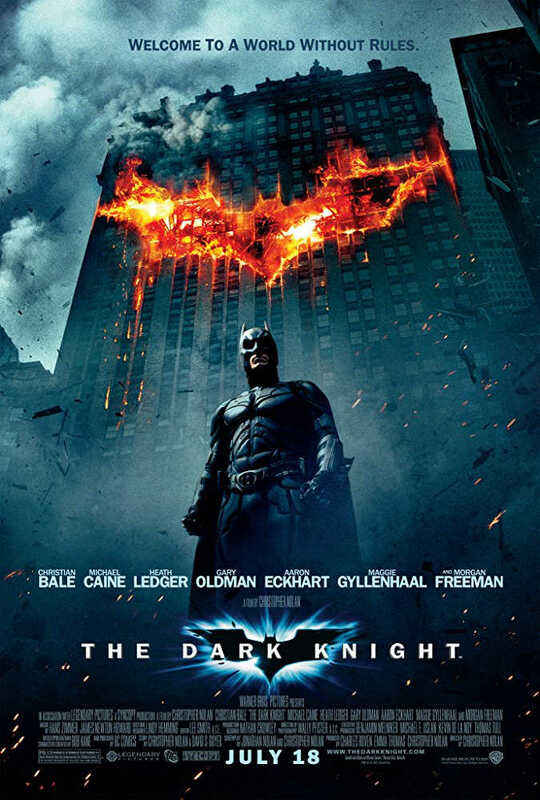 But the fact remains that despite eight total nominations and two wins, The Dark Knight was denied nominations in the three most important categories, at least when it comes to evaluating a movie’s artistic worth (and Best Picture chances): Picture, Director, and Screenplay (either Adapted or Original). Even if the Academy had already expanded to ten nominees before 2008, The Dark Knight would not have picked up a Director or Screenplay nomination, which is significant, at least in terms of its Oscar narrative. (In reality, it means nothing at all, of course.) And here’s the thing: James Cameron was given a Director nomination for Avatar — and his director of photography and visual effects teams won Best Cinematography and Best Visual Effects, respectively — basically for a technical achievement. For the DP and VFX teams, that’s fine. 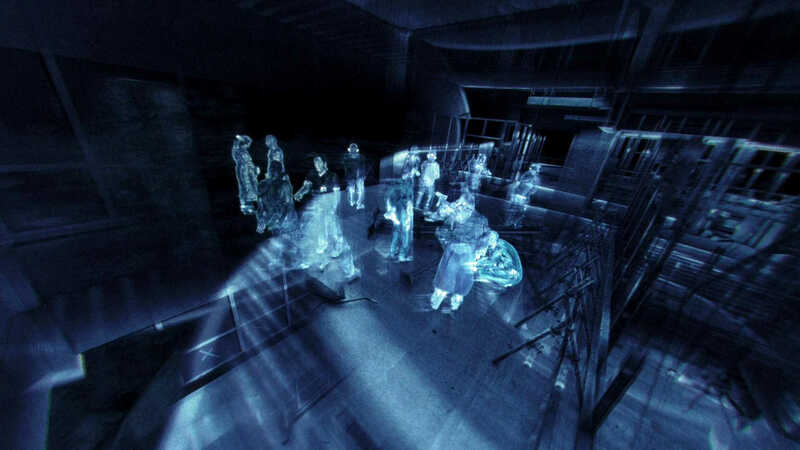 Visually, Avatar was amazing and broke new ground in terms of technology with its use of motion capture. 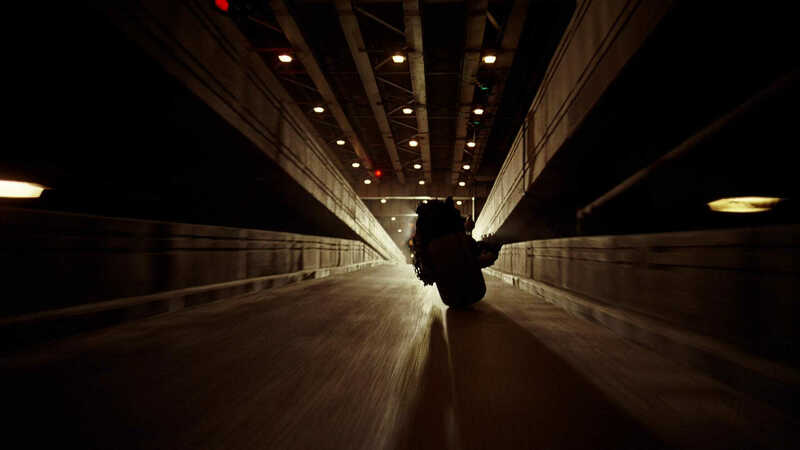 But mark my words on this: what The Dark Knight introduced with its use of IMAX cameras was even more groundbreaking. When we look back on the development of filming technology decades from now, no one is going to care about Avatar‘s 3D/digital/motion capture/whatever. It’s only been five years since Avatar was in theaters and no one cares about the technology it introduced already. Actually shooting portions of The Dark Knight in IMAX is going to be seen as more of a step forward because it’s a superior format to both traditional 35mm film and its digital equivalent, which some argue is better, while others do not. 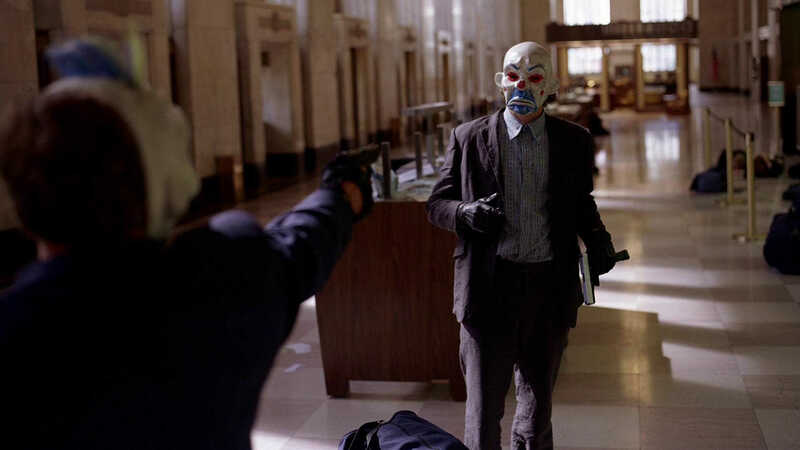 Seriously, watch The Dark Knight on Blu-ray and experience the enormous difference between the sequences shot with IMAX cameras (such as the bank heist prologue) and the rest of the movie, which was shot on 35mm film. There’s really no comparison. IMAX has been around for a while, but it had never been used to film a commercial movie before. So for Nolan to incorporate it — which was difficult, since the cameras are not easy to use (the depth of field is shallower, not to mention they make so much noise that dialogue is unusable and has to be replaced later) — deserves some recognition. Does using IMAX cameras alone qualify Nolan for a Best Director nomination? No, but if they nominated Cameron for essentially the same reason, they ought not to have kept Nolan out. I have never been all that satisfied with the mobster angle of the story, either; compared to the genuine menace of the Joker, the mobsters seem pretty limp except for the boss, who is played pretty straight by Eric Roberts (Julia’s brother). I don’t know, it almost seems like a cartoon mob or something; the mannerisms and dialogue of the mob members is off and rings kind of false. I say that because, again, what Heath Ledger brings is real, genuinely disturbing menace as the Joker. I guess I would like to have seen the mobsters be played a little more straight. But most disappointingly, the psychological richness of Batman Begins when it came to the Batman character — specifically, the notion that Bruce was allowing himself to inhabit his real personality as Batman, and that he has to project when he presents himself as Bruce Wayne (as I detailed in my write-up of Batman Begins) — is basically cast aside in The Dark Knight, which is too bad. It’s the Joker who is driving the events of the film, and just about everything Batman does is in reaction to whatever the Joker is up to, resulting in an episodic feel once you have seen the movie enough times. The Dark Knight is breathlessly paced, for sure, but it lacks a substantive internal arc for its central character. A more logical explanation for the Joker’s motives is that he has no self-worth (that much is quite apparent), likely as a result of past abuse, and because of mental illness has extended this to not value anyone else’s life, either. (I say that because depression is the act of turning anger inward; usually those with severe depression want to kill themselves, not others.) In fact, the only thing that really seems to add any value to his life is mocking those that do value life; this is what makes him a joker. His ultimate goal, for much of the film, is simply to engage Batman in the battle for Gotham on an indefinite basis. 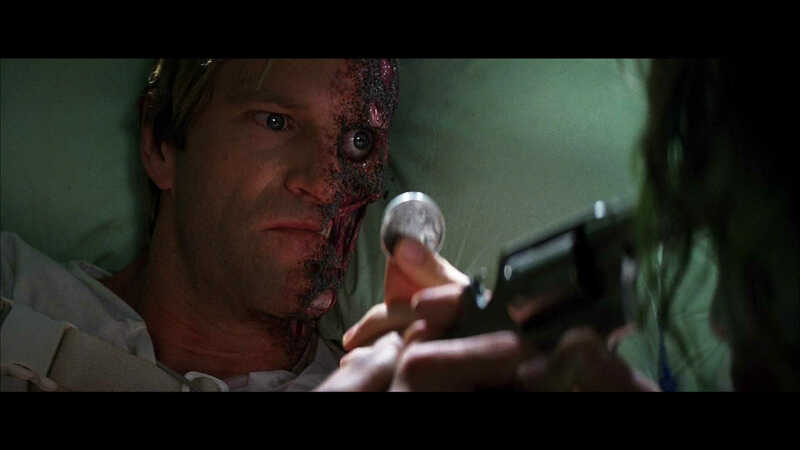 In the third act, once Rachel (Maggie Gyllenhaal in for Katie Holmes after she was busy with her newborn child with Tom Cruise) is dead and Harvey Dent is disfigured, a clearer goal emerges: possession of Gotham’s soul in the form of Harvey Dent. Dent is crucial to Batman and Gordon’s success on the crimefighting front: he’s the public face, the White Knight in shining armor. If he is ever found to be corrupt, the entire house of cards collapses. (Of course, this is what happens in The Dark Knight Rises.) Dent’s fall from grace doesn’t quite resonate like it should — since it occurs quite late in the film, it’s rushed, for one, and it’s also a bit of a stretch for him to consider Rachel family, especially when we know Rachel would rather be with Bruce (at least in a perfect world). As a figure for criminal justice, Dent obviously wants to hold the Joker responsible for Rachel’s death. But the Joker knows how to appeal to Dent’s notion of fairness: the Joker is an agent of chaos, and chaos is fair in the sense that it’s never personal with whom or what it targets. It’s Wuertz and Ramirez, the cops who let themselves be bought and who kidnapped Rachel and Dent, and the mob who bought them who are really to blame. Wuertz and Ramirez compromised the code that comes with being a cop, and the mob…well, it was the mob that enabled the Joker. The Joker is a weapon, essentially: an M16 has no biases, no favorites. It just shoots. It’s who’s using the weapon and how they’re using it. This is what the Joker makes Dent understand. Of course, if Dent weren’t so psychologically damaged from losing Rachel and having half his face burned off, he would want to eliminate the Joker to have him off the streets, but he doesn’t care about the public good any longer. Like the Joker, Dent’s self-worth has been compromised. Creating this symmetry is the Joker’s ultimate victory: He wins through the creation of Two Face. Now granted, when you really think about it, all Batman has to do is just make it home. Then he can just kick back and relax for a while once he gets there. So the implication that “Oh my God, Batman’s going to be hunted night and day and his life is going to be miserable!” doesn’t really hold any water, since all he has to do is just put the Batsuit away for a while once he gets home. 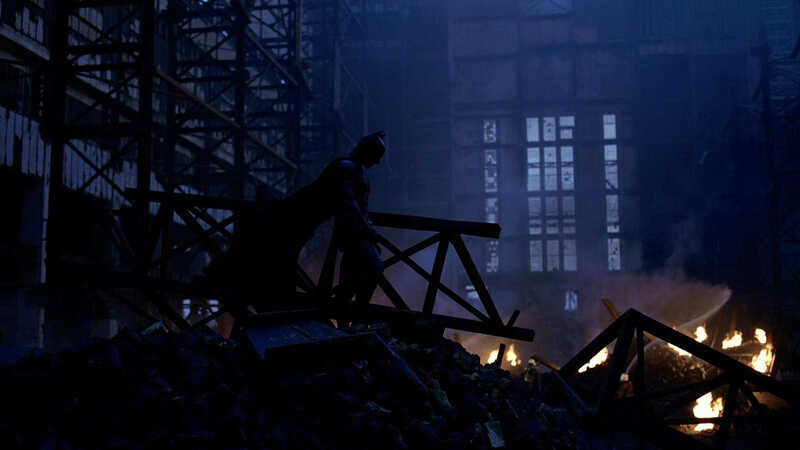 But it does have other consequences, which are explored rather well in The Dark Knight Rises. In the first act of that film, once again we see Bruce struggle with not being able to live as Batman, his true personality, and instead he has to project as Bruce Wayne full time, which exhausts him and drives him into seclusion. Tragically, with Batman no longer needed thanks to the Dent Act, Bruce is perfectly available for Rachel, but she’s no longer alive. In The Dark Knight, Rachel leaves a letter with Alfred (Michael Caine) to give Bruce when the time is right, informing him that she is convinced there will never be a time when Bruce doesn’t need Batman, and will instead accept Harvey Dent’s proposal. If Rachel were still alive, perhaps Bruce would have a chance at living a normal life with her and would leave Batman behind, but at the conclusion of The Dark Knight it’s clear he’s destined for a life of solitude, at least for the time being. 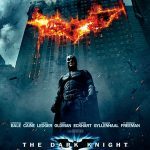 The Dark Knight features some incredible, bravura action sequences that are among the most thrilling ever captured on film. The standout is the transfer of Dent in a paddy wagon after he turns himself in, a lengthy sequence culminating in nothing less than an 18-wheeler getting flipped over vertically. 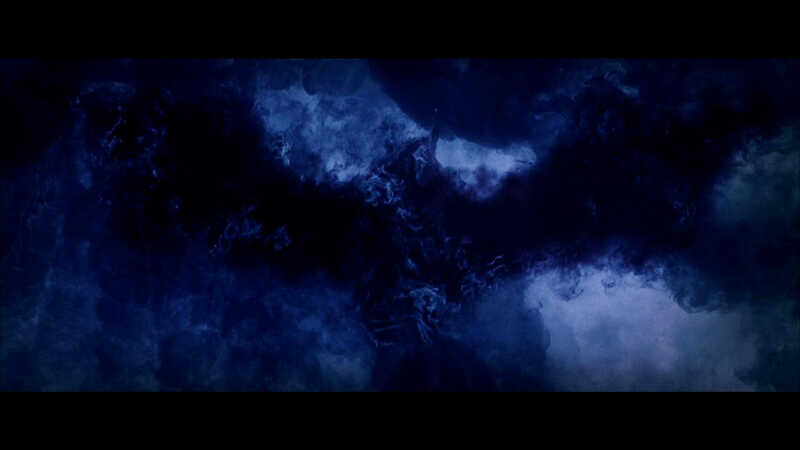 Every frame of the sequence is shot with IMAX cameras. In fact, one of them broke while they were filming part of the chase in the lower level. Only four cameras of that particular model existed at that point, all of which were in use by the production team to shoot the scene, so there was no replacement on hand. I suppose that was one of the risks they took when they opted to shoot in IMAX. The results are fabulous though — I really can’t recommend the Blu-ray enough, since it presents the IMAX sequences in enhanced quality (though the rest of the scenes look good, too). The sound design is wonderful, too, especially considering all of the IMAX shots couldn’t use sync sound at all in the final mix. The Oscar win for Best Sound Editing was certainly well deserved. The score by Hans Zimmer and James Newton Howard was not even nominated for Best Original Score. It’s a difficult one to evaluate: featuring a lot of borderline avant-garde electronic sounds — for a film score, at least — that characterize the menace of the Joker well, the score also features some ham-fisted guitar riffing (lifted from Green Day’s “Brain Stew”) that always enters with the subtlety of a sledgehammer. I have never thought these elements mixed very well. The more bizarre elements of the score are actually pretty interesting — give the soundtrack a listen and you’ll be surprised at how cool a lot of it is, since it doesn’t always come through during the movie with all the commotion going on. Still, whenever the heavier sounds come in like the aforementioned power chords, it’s just not very good since it’s nearly always too much. You almost get the sense that Zimmer — it’s not Howard’s style — is trying to use the score as a weapon and cause blunt force trauma. Howard’s contributions seem rather minimal during the movie, which is probably why Zimmer wound up flying solo in composing the score for The Dark Knight Rises. But watching all three of Nolan’s Batman films back to back to back for the first time in preparation for these write-ups solidified my opinion that The Dark Knight is my least favorite of the trilogy, despite possibly having the best action. As great as Ledger is as the Joker, the character lacks an overall objective for much of the film, which hinders the plot from achieving a structure that’s natural instead of episodic. (What I mean by that is, we essentially move from scheme to scheme throughout the movie.) And while Batman is always in the thick of the action, he has no arc, which hurts. 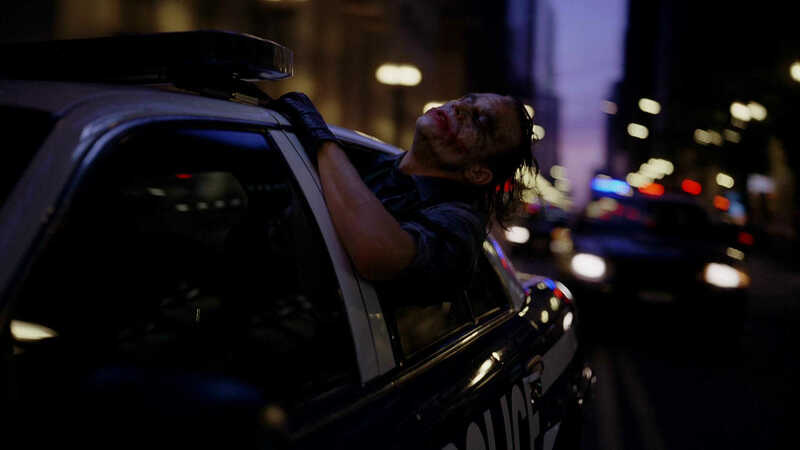 That the Joker is apprehended instead of killed makes the film feel vaguely incomplete, as well — he escaped from police custody before, so why can’t he do it again? (Granted, he supposedly planned to get caught the first time, but you’d think someone like the Joker would have some kind of contingency plan in place if he really did get caught.) These are nitpicks, of course — The Dark Knight is a fabulous movie that’s extremely effective as a drama, a tragedy, and an action picture. It’s just not perfect. 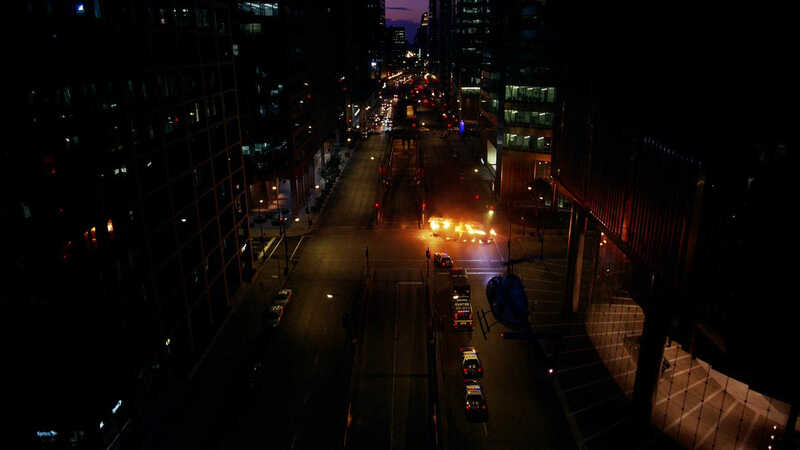 The Dark Knight does, however, explore the problem of escalation — utilizing the unstoppable force meets an immovable object dynamic — following the installation of a superhero to the fullest, even if, ironically, this limits the scope of the movie (hence the episodic structure). Yes, the mob is also involved, but they are ultimately a limp sideshow (as is Lao and the subplot in Hong Kong), and besides, they turn to the Joker for help anyway. 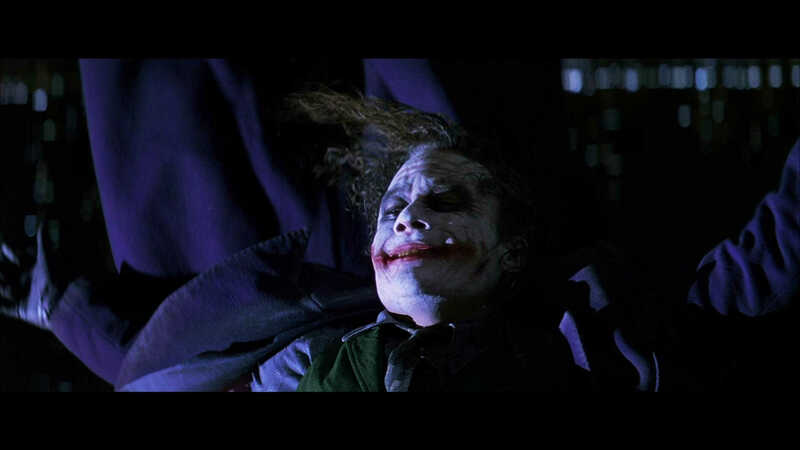 The escalation is centralized within one character (the Joker), at least until the Joker is caught near the end and the torch is passed to Two Face. This is the ultimate tragedy: that the Joker’s madness manifested itself in someone else and managed to live on. It’s also why the film ends the way it does, with Batman taking the blame for what Harvey did. Never has a film so resolutely about heroism so thoroughly redefined the role of a true hero: Batman will always do the right thing, even if it means not taking credit for it (and even if it means taking the blame for something he didn’t do) — the greater good is that important. But more importantly, The Dark Knight caught lightning in a bottle. Indeed, it may be the final time a movie manages to stay in the zeitgeist for a solid year.